Micah Musa is now the youngest supporter of JLSS. He is the son of Mr. Abie Musa and grandson of JLSS board member, Mr. Sami Musa. Both have been long-term generous supporters of our school. 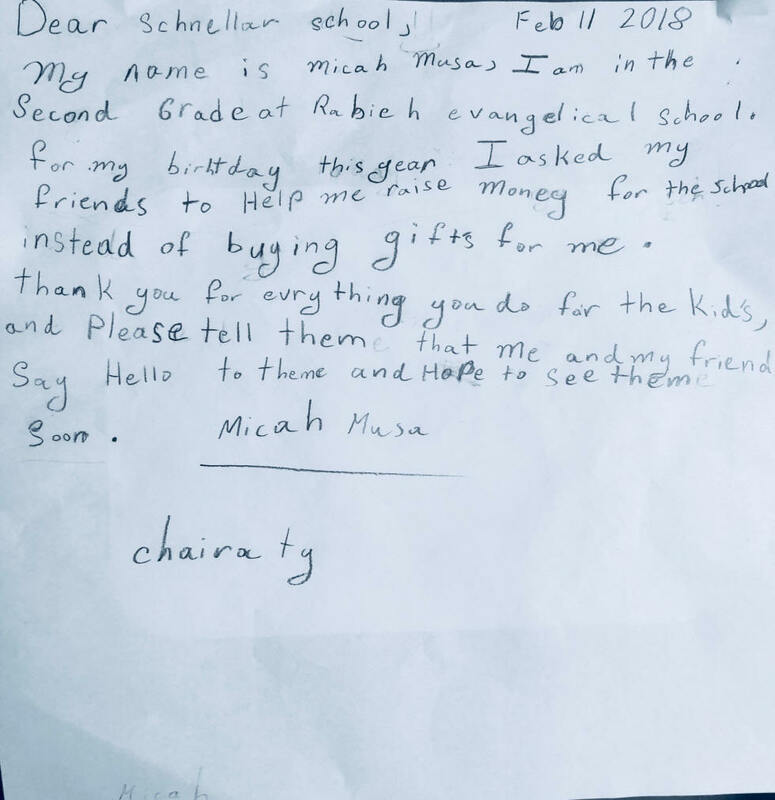 Micah who is in Grade 2, had his birthday this month. He asked his friends to make donations to Schneller School instead of buying him gifts for his birthday. 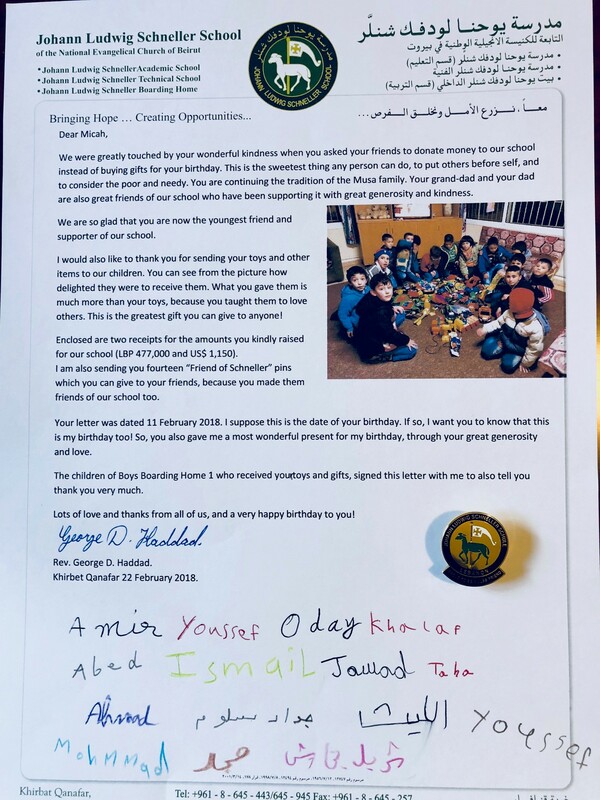 We received his letter and the money he raised on Tuesday 20 February 2018. He was able to raise LBP 477.000 and US$ 1,150. This makes him the youngest supporter of our school. Micah Musa also sent our children a lot of his toys, some new still in their boxes, with other items. His toys went to BBH 1 (Boys Boarding Home 1). 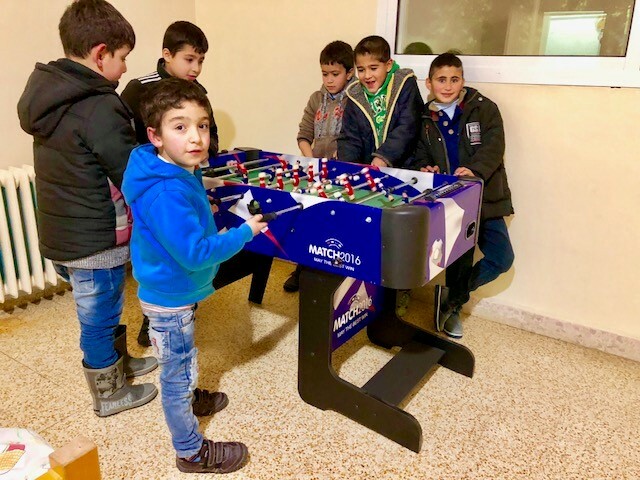 Our children, who are of the same age as Micah, were thrilled with them. We express our most sincere gratitude to Micah for his most wonderful kindness. We congratulate the Musa family for transmitting their wonderful spirit of charity to the third generation. This is something very special that they should be very proud of.